Plural Marriage: Will We Claim a Limited Prophet or a Limited God? The recent essays produced by the Church on plural marriage have turned my thoughts inward to reflect on my own journey and relationship with the concept of plural marriage. I have especially ached for the young girls who married Joseph, as I have thought about the young, naïve girl I was at the age of fourteen. I still remember my first pivotal moment with polygamy. I had been reading The Work and the Glory series over the summer and I was struggling through the one in which plural marriage was being introduced in Nauvoo. I’m sure I had already known about plural marriage before then. Even at that tender age, I was terrified that I would die after I got married and would then have to share my future husband with another woman. Yes, I was fourteen! But now, sitting in my room, tears streaming down my cheeks, I first came into contact with the pain of women who did have to share their husbands with other women. In a fictional book, written by a man who had never experienced that fear from a female perspective, I began my wrestle with a concept that I was too young to fully understand. Obviously, The Work and the Glory towed the line of the church in its sympathetic portrayal of Joseph. My pain and agony over this concept were reflected in the characters that rejected plural marriage and lost their eternal rewards. I thought my feelings were proof of my unfaithfulness toward God. I did not want to be one of the unfaithful ones. But I also didn’t know how I could ever feel good about polygamy. What a heavy burden for a fourteen-year-old girl to bear alone in her room. But not all fourteen-year-old girls got to wrestle with hypothetical ideas alone in their rooms. Some had to do so face to face with someone they believed was a prophet of God with authority to make his word God’s word. What was their wrestle like? Did they go through the tortuous battle to work it out in their minds and hearts like I did? Did they cry and scream and rage against God the way I did? Did they spend hours on their knees, pleading with God to understand something that didn’t make sense to them? And in the end, did they humbly give in, thinking that a prophet of God must surely know best, that their own feelings and struggles meant nothing compared to his understanding? Did they give in because their desire to be righteous outweighed their own sense of logic and love? That’s how it was for me. Worn out from my raging struggle, with red eyes and tears dried to my face, I looked in my mirror. I thought about my grandma who had divorced at an old age and had died without being sealed to anyone. “Okay God,” I said, trying to muster the courage I needed to do this. “I will share my husband (yes, I was fourteen! ), but only if it will help my grandma to have someone to be sealed to.” And that was that. I had accepted the principle of plural marriage. It felt good. Just like the early saints, I had passed the test. I had proven faithful. Thinking back on that fourteen-year-old girl that I was, I can’t imagine any scenario in which loving Heavenly Parents would be okay with a thirty-eight-year old asking such a young, innocent girl to marry him. The legality of it makes no difference to me because man’s laws are not God’s laws. I believe God’s laws are meant to protect us. A decade later I was no longer an innocent fourteen-year-old girl as I searched for a greater understanding of plural marriage in the early days of the church. I learned about Joseph’s deceitfulness to his wife, the secrecies, denials, lies, coercion of young girls, and the rejection of those who didn’t comply. I was no longer a naïve girl who wanted to be faithful at any cost to myself, but I still wanted the church to come off victorious. I wanted to believe that God had commanded plural marriage and that Joseph Smith had acted in secrecy only because people wouldn’t understand that this came from God. But one major thing had changed in my life by this point. My understanding of God had expanded. I now believed in a God who loved beyond anything I had ever imagined as a fourteen-year-old girl. I no longer believed in a God who asked His children to commit immoral acts like cheating on a spouse or killing a son in order to test their faithfulness to Him. I believed in Heavenly Parents who love far beyond the love I have even for my own children. If I would not tease my own children in such a horrendous manner just to be sure that they are true and faithful to me, why would loving Heavenly Parents do that to us? This new understanding of God left me with two choices. I could continue to believe in a God who would ask His prophet to lie and cheat on his wife, coerce young girls more than half his age to marry him, and to set up a system that would cause immense pain for women whom this same God calls His daughters, or I could accept that Joseph was mistaken. This was not the God I believed in anymore, so I had to accept that Joseph was wrong. That doesn’t mean that I can’t be gentle and forgiving toward a man with very human weaknesses. I still love and respect him as a man with a vision to build the kingdom of God! I can even accept that he caused himself to believe that polygamy was part of that. Perception can change much easier than we tend to think, especially if it can ease a sense of guilt or sorrow that we are feeling. My perception had also allowed me at one time to fit polygamy into my understanding of the kingdom of God in order to ease the pain of being one of the unfaithful ones. I realize that it is hard to bring Joseph down to the level of a man with natural weaknesses when we have revered and deified him for so long. It is especially hard under scrutiny from the rest of the world. They can’t possibly understand what this means for us as Mormons. Our church is experiencing growing pains. I know personally how this painful process is going to feel for us because I have gone through it in my own faith over the last few years. But there is so much beauty and goodness on the other side of this. My hope would be that Joseph himself has already repented of his own sins in regards to plural marriage. Why can’t we also repent of it as a church? Why can’t we stop allowing young girls to be his victims? Why can’t we say Joseph was wrong, we have made progress since then, and now we know better? If we could accept Joseph as a man with sexual appetites and imperfect understandings of God’s ways, then our understanding of a more perfect, loving God can expand. But if we continue to accept that Joseph’s claims of plural marriage came from God, then I’m afraid the God we believe in is limited in His ability to love, to parent wisely, and to give moral directives that will help us to be happy. What will we claim in the next chapter of Mormonism, a limited prophet or a limited God? What was your experience trying to understand and relate plural marriage to your life? How do you feel about it now? The Book of Mormon had already made clear to Joseph Smith that polygamy was “abominable” (Jacob 2:24). 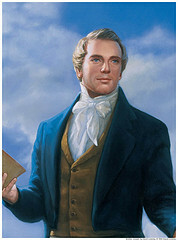 Pre-polygamy and pre-Fanny Alger, Joseph Smith had been warned by God in D&C 3:3-11 not to “boast in his own strength” nor follow “his own will and carnal desires” or the consequence would be that “he must fall” and “have no more gift” – as a result of the very carnal desires God cites. Thus Joseph Smith’s own revelations raise the very real and foreboding possibility that he could fall. In D&C 63:14-19 – again pre-polygamy – God says adulterers and those committing adultery in their hearts should repent speedily lest “their folly shall be made manifest, and their works shall follow them in the eyes of the people.” If it is the case that polygamy results from lusting in the heart, rather than a commandment from God, then D&C 63 foreshadows and prophecies polygamy being the blight that has “followed the church in the eyes of the people”, causing untold sorrows and sufferings, and seriously thwarting the work of the church. Following these recent church essays on the 14-year-old bride(s) and Joseph marrying other mens’ wives, it does indeed seem that the “folly has been made manifest” today and continues to follow us “in the eyes of the people”! To me one of the most powerful verses in the Book of Mormon is when Nephi testifies “I know that [God] loveth his children; nevertheless I do not know the meaning of all things.” That is the heart of my testimony too. I know that God loves me. I know that God loves every person as much and as fully and personally as I am loved. I don’t know everything about the Gospel or the Plan or the mind of God, but I know one thing: God really, truly, deeply loves us. A loving God does not command pointless suffering. He may allow it to happen that the wicked can use their agency and be punished (lots of examples of that both in the scriptures and in life) but he does not order or condone it. If something is inherently abusive and hurtful, then it cannot be of God. That is my understanding of God. For me, I cannot just say “well I don’t really understand it but it must be from God” because that would undermine the part of God that is most important and precious to me. A perfect being who loves perfectly does not intentionally cause pain and harm, ordering it to happen and continue. I don’t know the meaning of all things. But I know that anything that is abusive, deceitful, unchaste and unloving has no part in God’s plan for us, because God loves us with all his heart. Amen. This is exactly how I feel too. 38 Which foundation he did lay, and was faithful; and I took him to myself. Had polygamy been a tragic error, I do not believe god could have called Joseph Smith a faithful prophet. Instead, I believe like the early saints did that Polygamy was God’s will for the time. I don’t fully understand it, but I fully believe it. There are many in the church who believe that just as Brigham Young erred on blacks and the priesthood, he could have erred on other things as well. Great post, Jenny. I too had my years of angst and sorrow thinking about polygamy and what would happen if I died young and my husband sealed himself to another woman. While polygamy is not practiced anymore in the LDS church, the long tentacles of this doctrine still reach out and cause many of us suffering, particularly since it’s still validated in sealing practices for widowers. 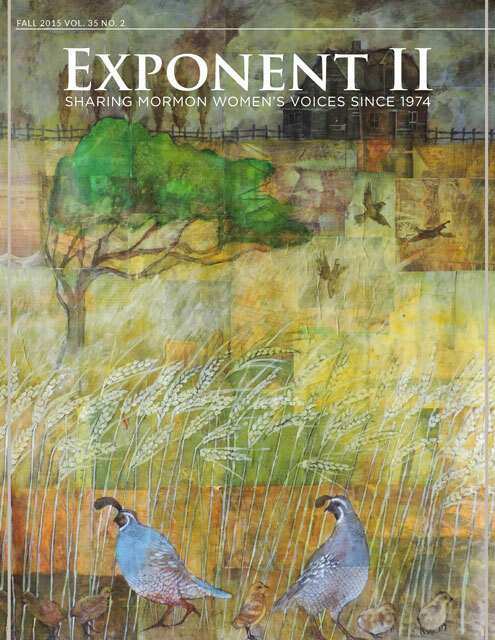 I found comfort in Eugene England’s essay on this topic, — I believe the title started out with the phrase “On fidelity” He argues that polygamy will not be a part of the next life for a number of reasons, that it violates central teachings of fidelity between marital partners. It’s been a slow process, but I now believe that polygamy is not holy or godly and that it will have no place in the next life and should not have had a place in this life. That said, I do acknowledge that as the product of a polygamous union, I would not have existed if this troubling practice had not been instituted. JS was a larger than life figure with larger than life ideas. It strikes me as reasonable that he overreached when it came to polygamy. I simply can’t reconcile the practice and teachings that polygamy will be the order of heaven with loving Heavenly Parents. My dad made a very poor widower. I won’t go into all the issues, but he married a lovely woman about 5 years after my mother died and it was a very good thing. He was sealed to her and to her sons. I know he and my mother had promised not to remarry after the death of either one. I was told growing up how bad polygamy was. My dad had a polygamous grandfather. Anyhow, back to his remarriage. My stepbrother always reminds me that we are sealed as a family. My dad insisted on telling me that he, my mother, and my stepmother were now polygamously married; very painful. I was well aware that he was sealed to both women. Recently I spent many hours at his bedside when he was close to death. I was glad to do it because I felt that I was being a good daughter, something I had not always felt, and it provided me with some closure. It also brought me much closer to my stepmother. I had always liked her (she did her best to minimized the conflicts I always had with my father); now I felt a whole new bond with her. I have no idea what will happen in the eternities and I dearly love my mother, but now I also feel a real bond to my stepmother. The Lord can straighten it all out then. As for Joseph Smith? If I could go back in time, I would like to be a fly on the wall and hear him preach. I feel like his charisma translates poorly into the twenty-first century. Of course, I would need to have a nineteenth century perception of what was going on, too. I have often thought that polygamy was guaranteed to provide a test of faith in Victorian times; denial of priesthood to blacks in the age of the Civil Rights movement was also a perfect test of faith for its time; and of course the whole LGBT thing right now…also a test of faith ( and I’m just relying on the ultimate fairness of God to make sense of it all). What about the angel that appeared to Joseph Smith 3 different times and told him to move forward with plural marriage? You know, growing up and even into my young adult years, I always believed that accepting polygamy was some sort of litmus test for faithfulness among current members. I heard women say, “oh, I could never handle it if my husband took another wife” and other women who would say, “You know, if it came down to it, I’m sure I could handle it. More people to help share the work!” The former were portrayed as stubborn and disobedient, the latter as humble and more righteous. I’ve since started to believe, “Why should any modern-day member either proclaim their potential support or denial of a practice of which we are no longer required to have a testimony?” It’s almost like we label ourselves modern-day Emmas or Elizas based on the hypothetical situation of our husbands taking another wife. except….some of our husbands could take another wife upon our death, or as a result of divorce circumstances. When I look at those policies still in place, it makes it seem like the debate over accepting or rejecting polygamy is alive and well. And I agree, sometimes it seems like we have to choose between a cruel, unfeeling God and an unblemished Joseph Smith, or the opposite. In wonder, if it is sanctioned by God, is it unilateral, or circumstantial? Would it be the right move for some marriages and families at some periods of time but not others? I am confused about such topics. I personally do not believe in the literal story of Abraham sacrificing his son and similar stories like this. The scriptures were written by the priesthood class that wanted to scare the members and make them as obedient to the priests as possible…not necessary to God but to the God that the priests represented and was convenient for them. This is how I see the story of JS and polygamy or Civil rights movement and the ban towards black people from holding the priesthood. I do not see it as a test of faith but rather a test of how little we understand God and how invisible his glory and vision is to us. I personally, never know where God’s speech ends and where that of the prophet/man begins. Not that the prophets have done a poor job but none of them has claimed that God came to them and spoke to them in person. They have never used this kind of language. JS was the last prophet to do so. All the revelations they have received have been a product of prayer and them understanding God within their cultural and historical times. And that is what they translated to the members – not the eternal God but the temporary one because that is what they see and hear. God revels himself not only via truth but also through our errors in understanding his will and vision. It seems that we are like every church, we get it wrong most of the time too and the next generation is the beneficiary of such lessons. Thanks for this post, Jenny. I’m particularly struck by your experience as a 14-year-old, agonizing about polygamy and having to maybe share a future husband. It’s just one data point, but I’m male, and I was never that stressed about the idea as a teen. Not surprisingly. I know this is a well-worn point, but I do wonder if Church leaders aren’t very sympathetic to people who are hurt by polygamy (even by the possibility of it) because such people are largely women, and Church leaders are of course all men. Regarding whether we blame Joseph or God, the Church’s essays that largely defend polygamy seem to be coming down on the side of Joseph being a good and true transmitter of God’s will and, by implication, God’s will being that people do some pretty evil things. It’s really unfortunate that the Church would choose the idea of an infallible (or pretty nearly infallible) Joseph over the idea of a good God, but it appears to me that that’s what they’ve done. While many are excited about an era of more openness about polygamy in the church, I grew up in a Mormon dense area where many, if not most, people had polygamous ancestors. For me, openness about polygamy has always existed and I actually prefer less discussion of it in church, because the current narrative is always to defend polygamy. I think more discussion about polygamy history could be helpful if it could be discussed as a cautionary tale, but not the way it is taught now.